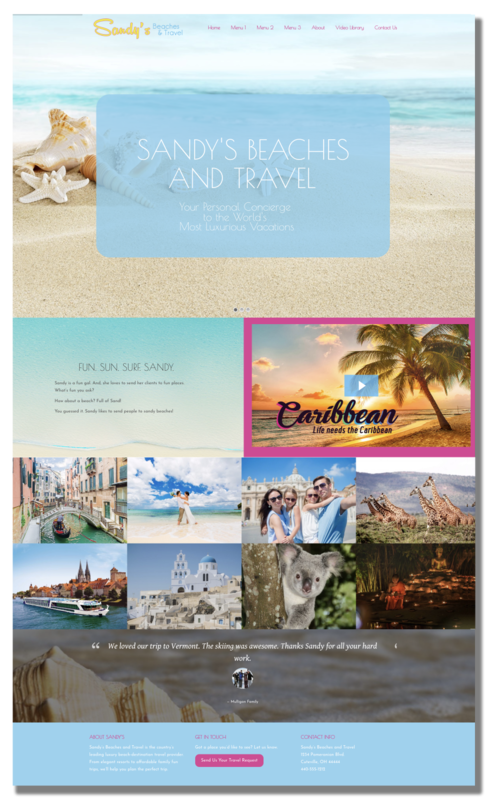 The Travel Features section has an area up to 8 different highlighted topics! You can choose 3, 4, 6 or 8! They appear as large rectangular images. There are additional options for the Plus and Professional packages. Sandy was Adam’s “heart-dog”. 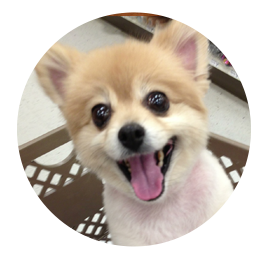 A very special little 10-pound Pomeranian with the biggest personality. Always friendly and devoted, she adored her family who gave her a second chance at life after being rescued from a shelter. She’s a angel – and so is her fun website theme!